Tiffany and I are a husband and wife team that love taking photographs of just about anything, but truly enjoy the excitement and happiness a wedding day brings. We strive to capture weddings in an artistic way with a comfortable approach. Tiffany and I realize that we will be spending more time with you than anyone else on your wedding day and promise to deliver a relaxing, stress-free experience. Our goal is to make your day as pleasant and easy going as possible. We do this by capturing the candid side of things as the day unfolds, as well as setting aside some time to create interesting shots and take those cherished posed family photos. We take pride in working with clients and determining what types of shots work well for any situation. Tiff and I have been married for 10 years and have 2 young daughters. So, I often think about our marriage and our girls and how it all started on the day we got married. I like going back to that day in my mind, and I like even better to be able to provide our clients with beautiful images of their special day to accompany all those thoughts and emotions. We've been shooting weddings since 2009 and have had the privilege of traveling to Florida, North Carolina, South Carolina, and all parts of Georgia to document our client's special day. Venues have included churches, plantations, beaches, hotels, back yards, and even state parks. 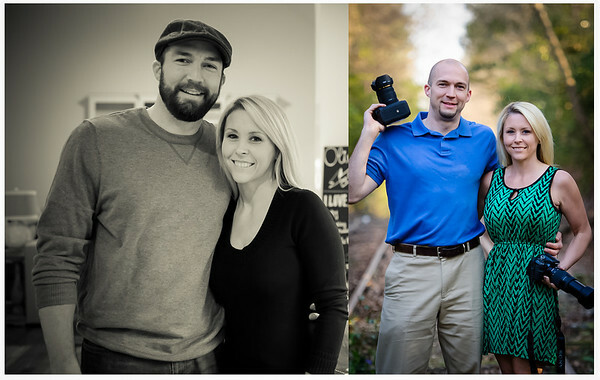 We hope to hear from you, as we would love to capture your special day!